"Our arrival, aboard our yacht, before the walls of Renland left us speechless. Imagine if you could sail to Yosemite Valley, amidst an array of glaciers, the ocean flirting with the foot of the rocky slopes. Before our very eyes there were more [unclimbed] rock faces than we could ever climb, even if we stayed there for the rest of our lives." That's how French alpinist Philippe Batoux described his first impression of Renland, a peninsula on the east coast of Greenland, when he and climbing partner Enzo Oddo arrived by sailboat in the summer of 2015. Renland was just one part of their summer spent exploring the largest fjord in the world, Scoresby Sund. 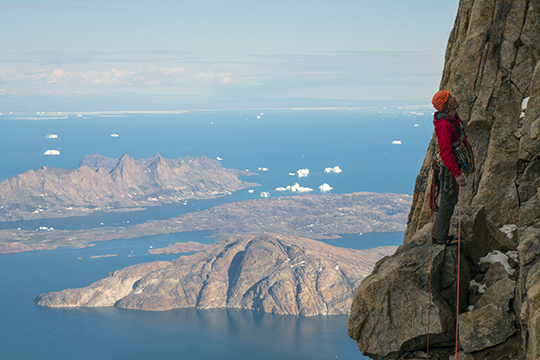 In recent years, this area on the southeastern coast of Greenland has become a popular target for climbers from continental Europe, notably Swiss, French, Italian, British and Danish climbers. One noteworthy visit was a 2007 expedition by the West Lancashire County Scouts (UK), who managed to climb 32 unclimbed mountains during their 29-day stay. This trip marked Batoux and Oddo's first visit to the area. Batoux and Oddo's first objective was Grundtvigskirken (1977m), a magnificent needle looming above Nordvest Fjord—which separates Milne Land (an island in Scoresby Sund) from Renland—with a 1200-meter east face. 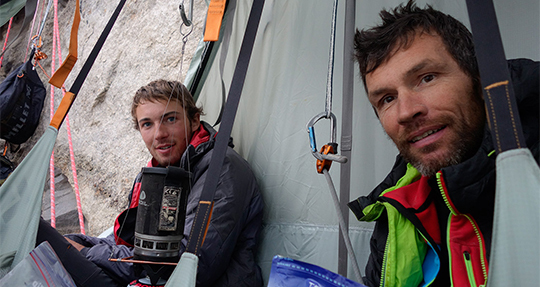 The Italian-Swiss team of Thomas Ulrich, Roger Schali, Simon Gietl and Daniel Kopp climbed the 40-pitch route Eventyr (7a+) up the central pillar of the east face in 2010. 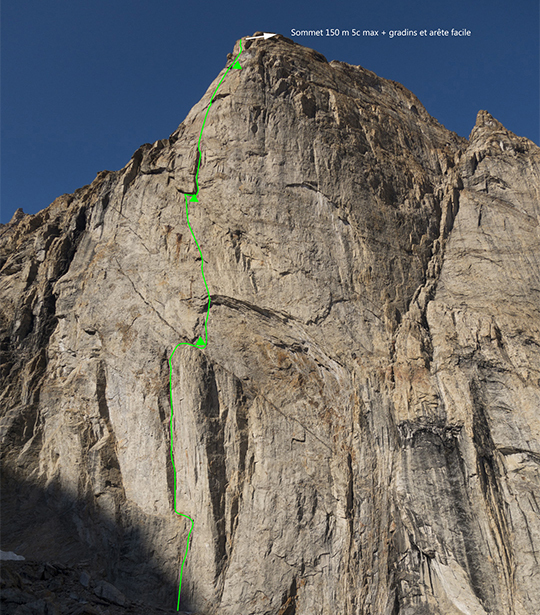 Batoux and Oddo attempted a line on the wall right of the pillar but after three pitches reached a brittle rock interspersed with sections of smooth granite too compact for hooking. They then tried a dihedral system near the central pillar, which seemed to join clean-looking crack systems above. After six pitches, they connected to the Italian-Swiss route. The weather changed, and after a second bivouac, Batoux and Oddo climbed what Batoux called "a genuine waterfall." After ascending to within 150 meters of the summit, the bad weather got the best of the pair and they retreated "exceedingly disappointed" down the wall. Batoux and Oddo then crossed the Edward Bayley Glacier hoping to climb the Shark's Tooth (1555m), a jutting granite shield first ascended in 2011 up its northwest ridge by Alexander Ruchkin from Russia and Mikhail Mikhailov from Kyrgyzstan. The Shark's Tooth has since seen a handful of other ascents, including the new route The Great Shark Hunt (5.12c, 900m) by a three-man Swiss-Italian team in 2014. When they reached the Shark's Tooth, they changed plans and decided to climb a more modest 400-meter pillar above their camp. Batoux described it as, "A magnificent [unnamed] needle with a superb wall with huge dihedrals at its base [that] drew our attention." 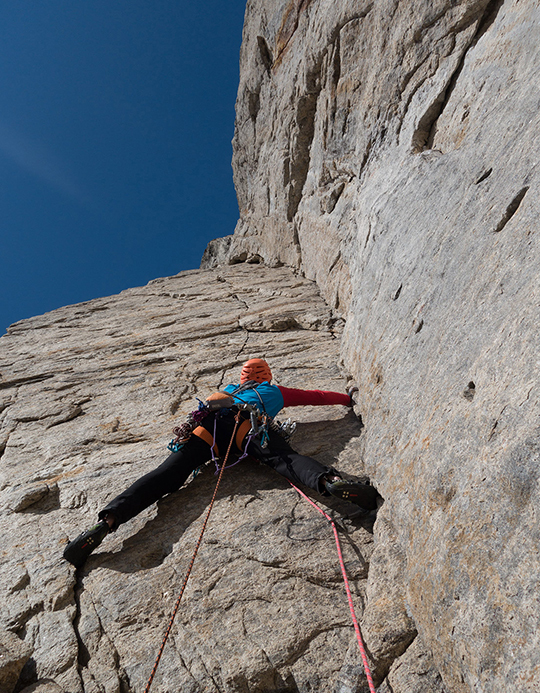 The two climbers started up the needle, climbing excellent pitches up a "magical dihedral." More climbing led to a sandy chimney, then over an exposed roof and up jam cracks. Only a few pitches required aid moves with skyhooks and copperheads. After waiting out a storm, the pair reached the summit, calling their new route Midnight Rainbow (7a), and then descended to a waiting yacht. The pair headed south and at latitude 68 degrees saw the sun set for the first time in six weeks. Nightfall was back.